Gold prices have seen an increasing trend over the past few years, almost tripling between 2007 and 2011. Gold has grown by nearly 300% in the past 15 years as demand from investors and central banks has risen as a safe haven. The idea of investing in gold is based on two hypotheses: the continuous erosion of the purchasing power of paper currencies, and the low supply of gold as demand rises, leading to higher prices. 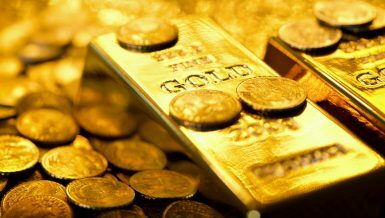 Investment methods in gold vary, including the conventional method such as bullion and pounds, and investment funds such as the ETF Fund, mining companies through the acquisition of shares, futures contracts, and gold deposit certificates, and finally the forex market, which refers to the foreign exchange (FX) market. Ragab Hamed, the CEO of Sabayik Al-Kuwait, said that gold is a popular investment currency for all the community, which is the best type of investment. He added that it fits with all categories of society, according to the purchasing power of each category, in different forms, such as gold jewellery, gold bullion, pounds of gold, or used gold. 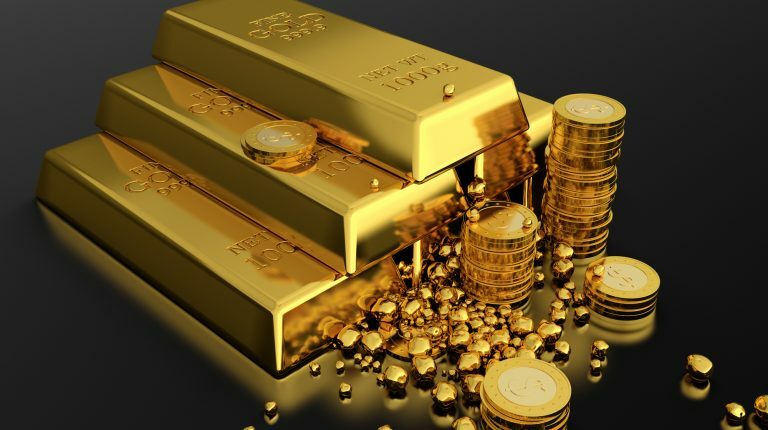 Hamed pointed out that gold is one of the safe havens such as real estate and savings certificates, but it is the best for easy buying and selling, and easy to transfer and keep. The customer may have investments in retail estate as prices rise, in banks certificates as interests rise, or through projects. However, during problematic times, investors will not keep them or guarantee their money, as even banks can go bankrupt. Furthermore, he added that gold differs from other havens in that it retains its value, especially when other investments fall, due to the effects of local or global economic crises. The price of gold always rises in economic crises, while the purchasing value of currencies collapses during times of crises. He stressed that gold has a robustness, a nature that allows it to survive, and retain its form and value, in harsh environments such as burials, fires, earthquakes, and floods. Moreover, he pointed out that gold is one of the most important reserves of central banks, so they will not leave its prices to collapse, which nominates it to be one of the safest havens. Ashraf Ibrahim, an economic researcher, said that the tendency of citizens to put their money in bank savings and investments does not save the value of money, because of the low interest rates compared to price hikes. He added that the interest rate is up to 15% while price rises may reach 20-25%, so the value of savings decrease. Ibrahim explained that gold is the most appropriate investment vessel for several reasons, including the general trend of gold to gradually increase in price. 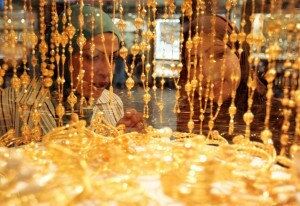 He noted that customers should retain gold for at least three months to earn profits. Over and above, he pointed out that there are expectations that gold prices will continue to rise in the coming period due to the possible decline of the dollar, as the relationship between the dollar and gold is an inverse relationship. He added that the possibility of a drop in the dollar is due to the offensive bases pursued by President Donald Trump, which is isolating the United States, and pushes most industrialised countries to sign bilateral agreements to exchange currencies instead of the dollar. These policies may also generate a new global crisis because they repeat the same decisions that were the main cause of the 2009 crisis. He pointed out that at the time of crisis, investors avoid dollars and turn their money into gold. “The scarcity of gold and its limited natural resources enhance its value and make it one of the most important safe investments,” said Youssef Ezzat, an economist at Arab Forex. He added that the investors turn to gold during times of crises, to save the value of money as a hedge tool. Moreover, he explained that gold is a saving and an investment at the same time, as it saves the value of funds, and earns profits and gains for investors, pointing out that the investment in gold is through several methods, including hoarding gold in the form of gold or alloys and coins, or investing in gold mining companies through purchasing shares. The FX market is another way to trade gold, which is very similar to currency trading, by buying shares on the exchange. Alaa Eddine Farhan, managing director and consultant for global markets and manager of Golden Wave FX, said that gold is the best safe haven, so many central banks have moved to strengthen their gold reserves to boost the strength of their economies such as China, India, and Russia. Farhan added that it is the best savings pot that preserves the value of money, and investing in gold is in two ways, either by saving raw gold in the form or jewellery, which is low in risk and low in profits, or through investing through FX or the so-called “buy from the screen”, which is trading in the global market, by opening an account with an intermediary. Furthermore, he explained that investing through FX involves risks and requires careful handling, and investors should avoid risking investing 10% of their capital.